I love to be outside and enjoy outdoor activities. I always like to include something in this Category for every trip that I take. Pack up the car, lace up the hiking boots or tie on the sneakers and join me as I explore 10 amazing places in and around Bucks County to see brilliant fall colors. I’ve included our chosen path – many of these places were new to us and so we just printed a map before arriving (good idea) and followed the markers. 1.Tyler State Park: Visiting this park brings back the best memories. As a youth we lived nearby to this park and walked the trails, bike on the paths, and canoe down the creek. And one of the most beautiful times to visit Tyler is Autumn. With plenty of paved trails and rolling hills this a perfect place to visit on a wet weekend when you have limited time and just want some amazing quick leaf peeping. 2.High Rocks/Ralph Stover State Park: This is was one of the most popular and well know places in Bucks County for seeing the beautiful fall leaves. 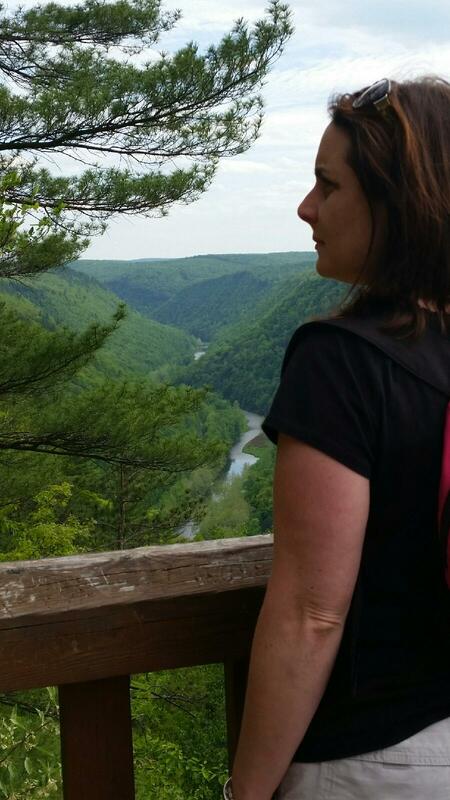 At High Rocks one can look out over a 200 foot sheer rock face cliff overlooking Tohickon Creek. If you can find the parking lot and a place to park, then it is just a short stroll from your car to see this amazing view. However we prefer to park at Ralph Stover State Park at the base and hike up to High Rocks. The approach of first crossing the creek and climbing up the hill to the vista makes the view all the more spectacular and extends this to a good workout hike. 3.ChesLen Preserve: At the time of visiting this Preserve it was not yet fall, but it is such a wonderful place to visit that I included on the list and hope that we can make it out there again. I can only imagine how amazing the Peter O. Hausmann Trail would be at this time of year. Many families were out enjoying a moderate trail through rolling golden meadows. We felt like we were wandering through someone’s private property. At the time we did not realize this was part of Natural Lands Trust and only made the connection on a later hike. We now search out the other preserves found on site & have visited 2 others so far!! 4. Gwyneed Wildlife Preserve: The second preserve we visited that is part of the Nature Lands Trust. A perfect place to visit on a SUNDAY in November. I stress Sunday for other days hunting is permitted. Very easy trails through Tunnel Farm Woods on 1 side of the road & through meadows on the other. There is a total of 7.5 unpaved trails at this delightful little preserve. 5.Mariton Wildlife Sanctuary: The 3rd preserve we visited that is part of Natural Lands Trust. 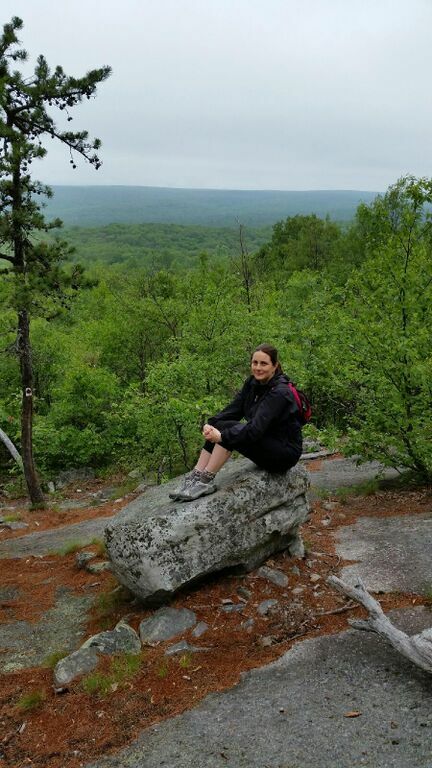 Because of the local, perched on the steep slopes of Bougher Hill overlooking the Delaware River, you can get in a strenuous 3 mile hike. We did not visit this one until just last weekend & at this point the leaves have almost all fallen from the trees. This provided spectacular scenery but slippery slopes! Next year I want to return earlier in the season. I’m just a hiker admiring the beauty however the blog on their site provides great info about what is growing at the park. 6.Pennypack Trust: We created a wonderful loop by starting at the beginning of the Pennypack Trail which bisects the park. We enjoyed wandering through trails found in the 812 acres of protected meadows, woodlands and floodplain forest and seeing the historic sites along the way which are listed on the park map. The park has expanded since I last visited over twenty years ago! 7. Jacobsburg Environmental Education Center: There are 18.5 miles of trails at this park. Due to hunting permitted in the park we decided to stay on the East side in and around the area where hunting is not allowed. There is a little bit of everything at this park: The rollings hills provided a good moderate hike, Jacobsburg National Historic District provides an opportunity to explore historic buildings and take a self-guided trail that interprets the life of the Henry Family and the Boulton Gun Works, and for wonderful leaf peeping on a family friendly trail a walk down Henrys Woods, an old growth forest surrounding Bushkill Creek is a must! 9.Valley Forge National Park: I do not think of this place as somewhere to get a good walk in the woods but was surprised to find there is a series of trails tucked into the woods. I found this on a trail map online . We parked near Washington’s Headquarters, explored the historic area then crossed the street to hike the Mt Joy Trails not a full loop but there are a few different ways to go providing a strenuous uphill slope, variety by taking the smaller loops, and still a beautiful fall hike of around 3 miles. 10. 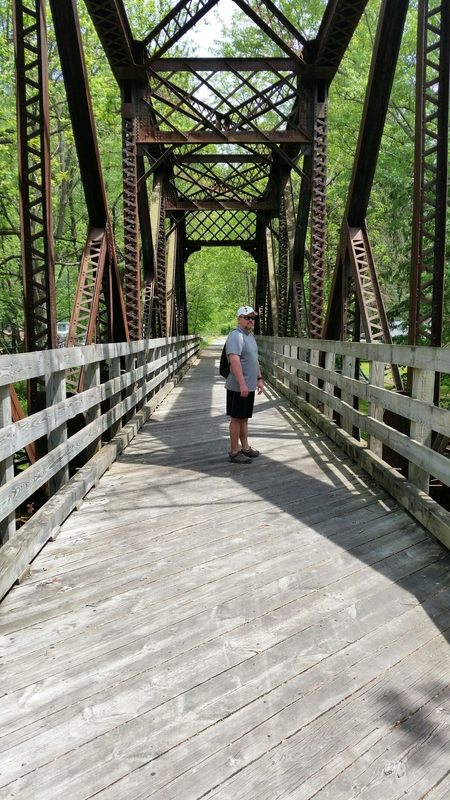 Peace Valley: This is a wonderful place for either exploring either the Peace Valley Nature Center – 14 miles of nature trails in the woods and meadows at the eastern end of Lake Galena or for a rainy day walking the paved loop around Lake Galena. Although you can bike here, there are a lot more walkers. Keep in mind if walking it is about 6 miles to go all the way around the lake! 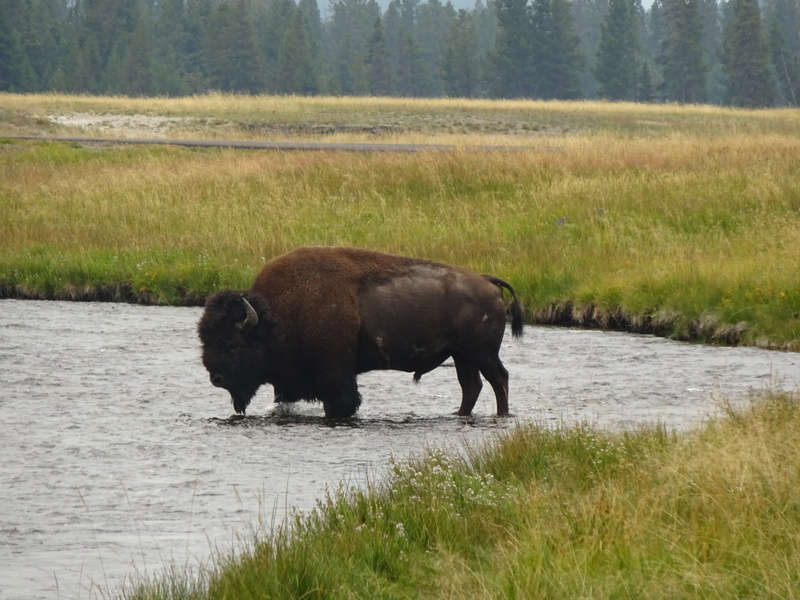 There is no comparison between the Tetons & Yellowstone National Park. They may be close to each other but that is about it. The two complement each other – one offering quiet hikes and the other offering amazing never seen before natural wonders… and I am so glad we explored both on one vacation. Hiking boots ~ sneakers is the best way to describe it. 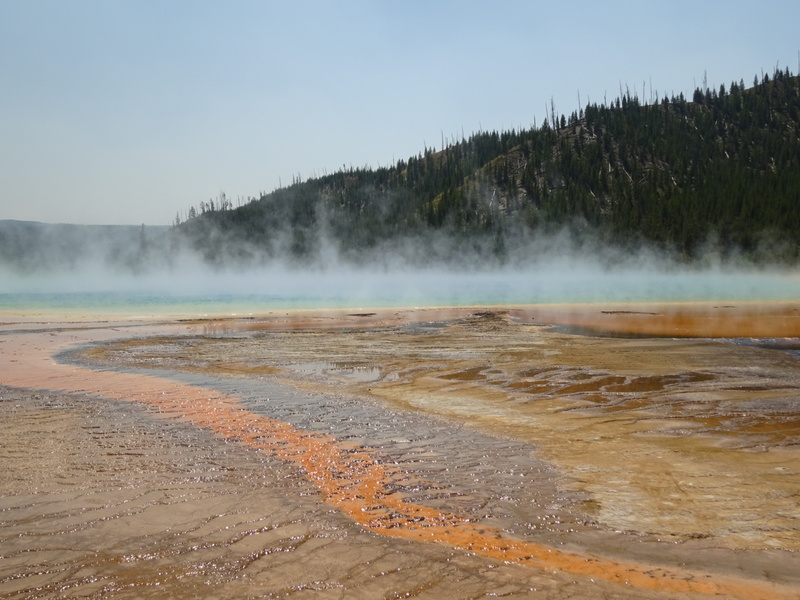 Staring into the beautiful Abyss Pool at West Thumb Geyser Basin – This is the best place to stop when coming in from South Entrance to get your first Amazing Moment! Walking the Boards around Old Faithful in the cool evening hours when the crowds have gone… best reason to stay at Old Faithful Inn! 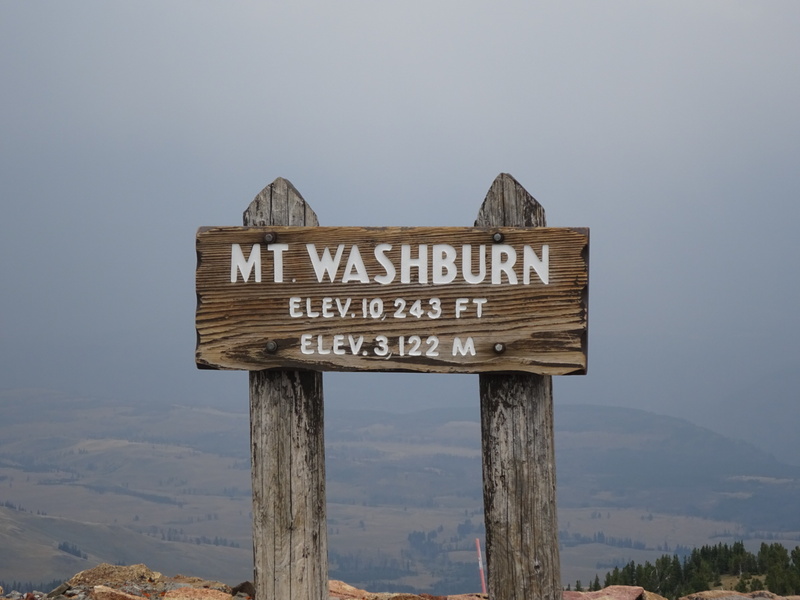 And of course our experience on Washburn …….will be the one adventure we will never forget! 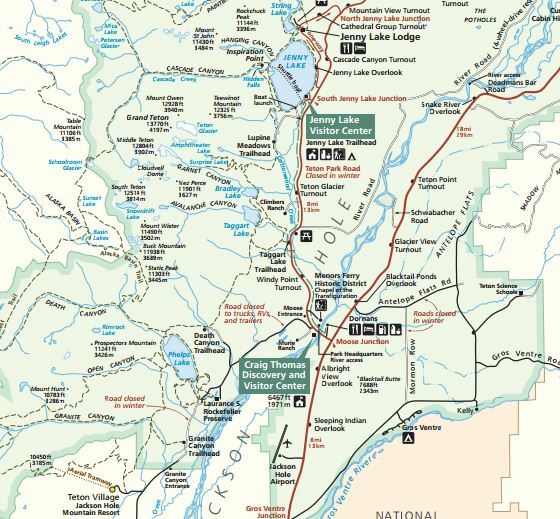 Our lodging for week 1 was located in Teton Village located near the Southwest corner of Grand Teton National Park. It is an amazing location because one can stay in resort level accommodations with quick access to the park. The Park entrance is less then five minutes down the road via Moose-Wilson Road –partially paved but partially dirt road once you enter the Park. Our “morning commute” was slow… but not because of traffic. Very few cars enter the park this way. Leisurely we drove along past the open meadows where we saw elk, across the bridge where we were determined to see a bear fishing in the river (did not happen), and through the woods were we saw mule deer. Our back road excursion was unto itself a morning ritual — several times we even returned in the evening hours to look for wildlife. Because this scenic road also provided access to many incredible trails we decided to heavily explore the south and central portions of the park. Only once did we go beyond North Jenny Lake Junction for a drive to see the sites in the northern end of the park. 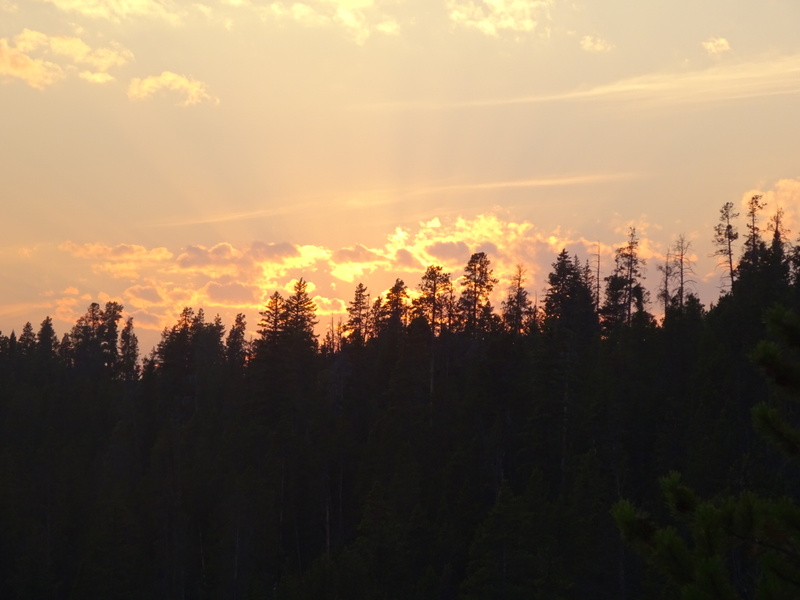 Primary areas we explored: The Jenny Lake Area, Moose, & Laurance S Rockefeller Preserve. Visitor Centers – We only visited one on this trip. (very unusual for me) The first week of our expedition was more about doing – being out there and soaking it all in. I usually stop here first but our desire to get to trail heads early to avoid the crowds changed my usual mode. Our trail guides and information I printed out prior to our trip provided much of the information, our rafting trip midweek answered our questions, and the final visit to the visitor center wrapped it all up for us. What follows next is areas we explored by land and water, areas we visited, our trips into Jackson, and what vacation was like in Teton Village in the summer (amazing!). Although we were only first time visitors, the planning beforehand and our free spirit while there lead to an amazing expedition – a perfect first trip. Our visit here was an overnight trip for we had a place to stay at the Lake Harmony Community. However I was amazed what a quick drive this was from our home in Bucks County – just a little further then we’d usually go on a day hike and so I added to our list of day trips close to home. On day two we woke up early to see the beautiful falls (for it had rained recently)- Hawk Falls Trail – this is a very popular hike for you get a wonderful waterfall view with just a .6 mile hike. However the lot fills up quickly so arrive early. Do not try to approach from the back-end – we tried from the Orchard Trail turnoff and ended up turning around. A nice stop on the way home was Jim Thorpe – definitely returning there with our bikes and a stop for good beer and delicious Polish Food – by far the best brew pub food I ever had — Red Castle Brewery – great and unusual beers which we brought home a few bottles. Let’s begin that we our casual hikers. A good hike for us is 4-5 miles and a long hike is 7 miles…We clocked this one in at between 9.5 and 10 miles on our FitBit. Our longest hike together and probably the longest hike I have been on for fifteen years. Moderate/Difficult is what it is listed at. We agree. 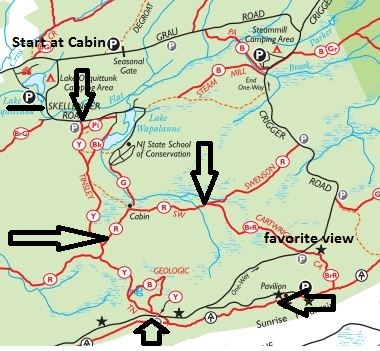 Map – Best to print out the one from the site the hiking trail map Stokes State Forest North. I did not and used the general one which was not as helpful. 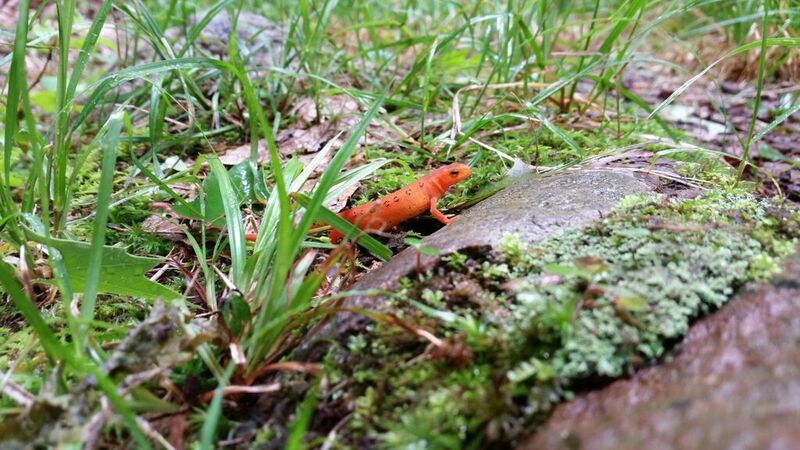 Critters along the way: Birds, and eastern (red-spotted) newt (please correct me reader if I am wrong in my identification). I loved getting down at ground level at taking pictures of him – apparently they are pretty common in this area. Starting Point – Follow Skellenger Road over a bridge (closed to cars) that connects the cabin area to the main camping area. At the junction of Skellenger and Skellenger (confusing) follow signs for the one that take you to the NJ State School of Conversation. Stay on this road until you see the turn off for the Tinsley Trail to your right. It is about .8 miles from cabins to trail. Follow Tinsley Trail (Yellow) to Swenson Trail (Red) and turn left. (It was suggested from another hiking site that this approach was better – and I agree). Then take Swenson Trail to a right on to the Catwright trail (Brown Red Trail. (along the way you pass the neat old cabin) The Cartwright trails along the Kittatinny Mountain Ridge is where the image was taken looking west to the Delaware River. Be forewarned Cartwright is rocky and overgrown. Eventually you meet up the with the Appalachian Trail and hike that past the Sunrise Mountain Overlook until turning right unto Tinsley. Ending Point: We then followed Tinsley back to Skellenger road to our cabin. 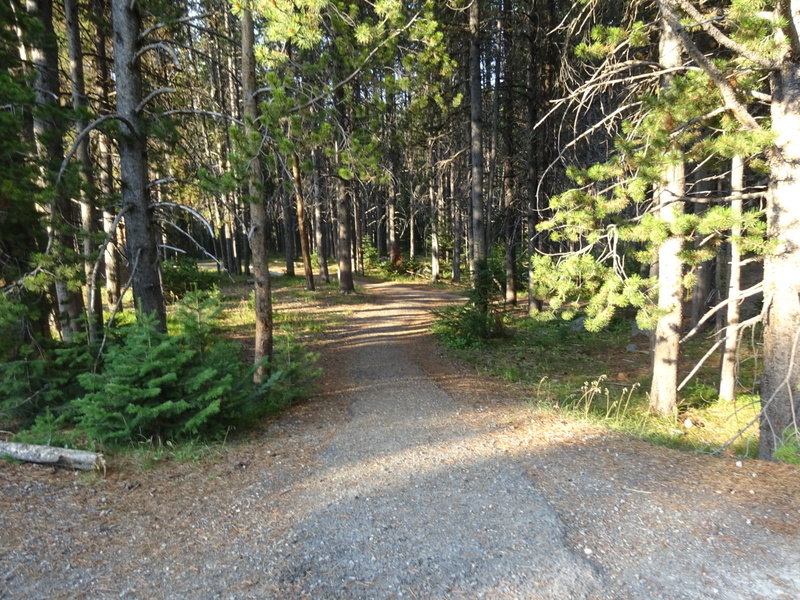 End Report: It was nice starting at the campgrounds – right from our cabin. It was certainly more difficult then our past hikes – It is rocky both in the flat areas and when going uphill causing difficult for those with knee trouble. However, once reaching the summit of Sunrise Mountain looking West- the view is amazing and well worth the climb. It is also a nice loop, meeting up with the Appalachian and checking out the view at Sunrise Mountain looking east to Kittatinny Valley. Less then a two hour drive from home on the less busy side of the Delaware Water Gap – NJ side – is a wonderful State Forest. Cabin rentals are weekly but they open up the reservations for any time period one month out – so we really lucked out getting this cabin for a Saturday and Sunday night. Unfortunately the forecast was rain all weekend. We only lasted one night and then went home so not much to report on this trip but our hike through Stokes State Forest. But wow what a hike it was!